Oakwood Church St Paul – Love God. Love others. Make disciples. There are many ideas about what a church should be like. Sometimes church structures become so complicated that the essence of the New Testament pattern is obscured. At Oakwood Church, we want to put our best efforts into the core essentials of what a church should be doing. So when you attend a Sunday service you will experience prayer, expository preaching, and encouraging Christian fellowship. And throughout the week you’ll find opportunities to learn, connect, serve, and reach out. We are intentionally simple. We welcome you to experience this with us. Who am I? How should I see myself? Who should I turn to for answers to these questions? These questions underlie many controversies today. Without clear, reality-based answers, it’s difficult to navigate life. Yet these questions aren’t new. In some manner, every culture has wrestled with them. The good news is, the Bible addresses them in a clear, compelling way based on timeless, eternal truths. 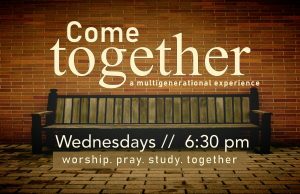 Join us as we look to God’s Word to examine and determine our Identity. 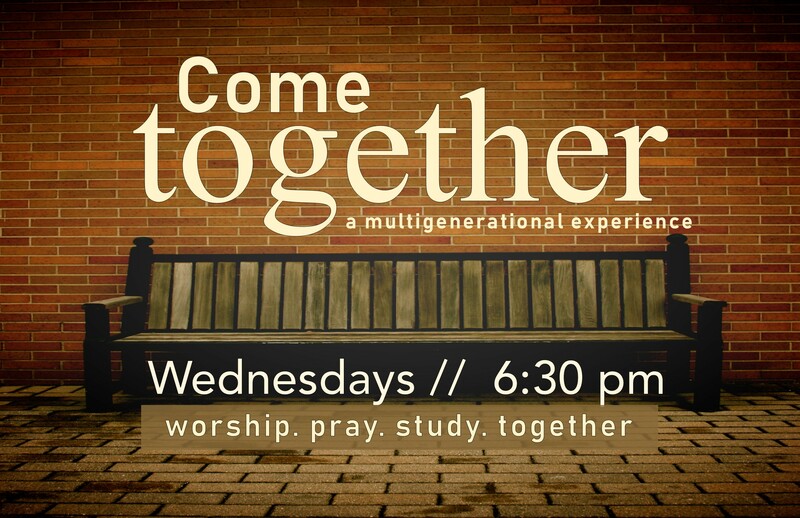 Come Together is a multi-generational event designed to integrate activity, music, fellowship and Bible study. Each Wednesday begins casually at 6:30 during which we hang out, drink some coffee, and catch up on the week’s events. At 7:00 we launch the activity / music / Bible study segment. Right now we’re examining what Mark’s gospel says about Jesus, discovering a sense of wonder in what we find. Whatever your age or family situation, there is a place here for you!